That by itself would be interesting, given how easy it is to max out 100 GB with 4K videos and high-res images these days, but there is one other feature here that explains the new brand name: free one-tap access to Google Experts for help with any Google consumer product and service. Google already offered 24/7 support for paying business users with a G Suite account, but this is the first time it actively offers live support for consumers. In addition to access to experts, the company also promises to provide subscribers with other benefits. Google One’s director Larissa Fontaine told me that those could include discounts on hotels you find in Google Search, preferred rates for other Google services or credits on Google Play. “We hope to build those out over time,” she noted. Brandon Badger, Google’s group product manager for Google One, told me the team looked at how people use the storage plan. Users now have more devices, shoot more 4K video and share those files with more family members, who in turn also have more devices. “We are looking with this plan to accommodate that,” he said. In addition, Fontaine noted that users with paid storage accounts also tend to be heavy Google users in general, so combining storage and support seemed logical. Sadly, this isn’t an immediate change. Over the course of the next few months, Google will upgrade all existing storage plans to Google One accounts starting in the U.S., with a global rollout after that. Google also tells me that it will roll out a new Android app to help users manage their plans (not their files). While the focus of today’s announcement is on storage, it’s hard not to look at this new offering in the context of the additional support and other bonus features that Google promises. 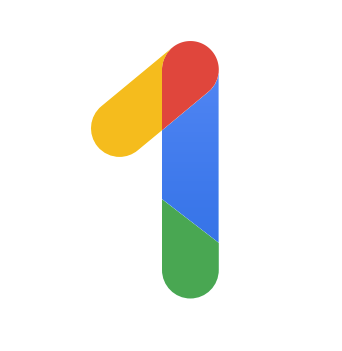 Google One is clearly about more than simply a better storage plan offering. Instead, it feels like the beginning of a new, more ambitious offering that could be expanded to include other services over time. Maybe a single subscription to all Google consumer services, including Drive, YouTube Red and Play Music (or whatever becomes of that)? Despite its name, Google One is currently only one of many subscription services the company offers, after all. This woman just saved a family of ducks. The video is pure laugh-out-loud joy. Sir Patrick Stewart cosplaying as Kellyanne Conway.